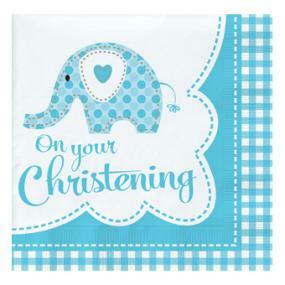 Blue Elephant design paper Christening napkins. 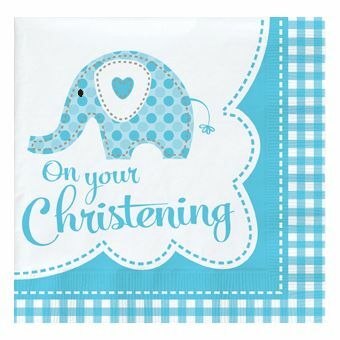 These 2 ply napkins are a luncheon size and so suitable for lunch or tea. Each napkin measures 32.7 cm x 32.3 cm and there are 18 napkins in each pack.